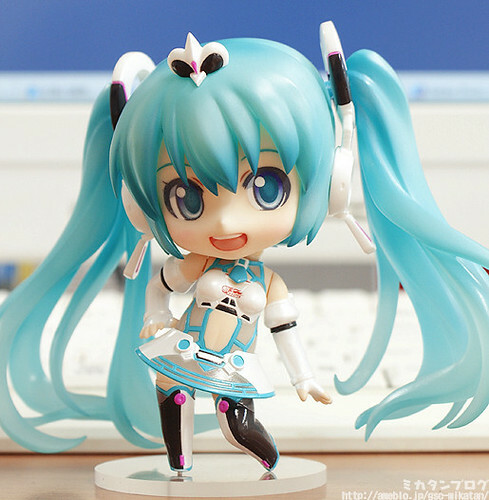 Nendoroid Racing Miku: 2012 version‘s pre-order has already started last month, and we have already seen both her uncolored and colored prototype. Finally, she received a preview photo session treatment by Mikatan today. Nothing new there, as we have already seen most of them on the official pics, but it is still nice to see her from different angles. Well then, go directly to Mikatan’s blog for more info as well as more pics.